Hi guys- I've just created a Guess the Score Game system for LTB. Basically for every game until the season closes, you can submit your entry on what the Lakers & the opposing team will score. Whoever nets the most points at the end of the season will win a Amazon gift certificate, with prizes for the second and third place winners as well. I haven't had the chance to extensively test it out, so if you found any bugs or run into any problems, please let me know. Have fun and good luck! it seems to be a quite interesting and funny game! Well done for creating it! Cool game! For tomorrow I'll say Lakers 96 - Spurs 111. Okay just added a new wrinkle valid starting the next game and onward- if you don't get the scores right, BUT you get the spread correctly AND get the right winner/loser, then you get 3 points. Thanks for letting us know via thread Dave. Very fun game. If I may suggest, perhaps you could consider a different tiebreaking system, starting Tuesday the 5th against Dallas? I agree with #rep's essentially, but it's always directly connected to your #posts, a user with 5000 posts is much more likelier than have more rep's by sheer volume than one with 500 (Monta Ellis Syndrome). This also refers to the #posts tiebreaker, since every post by every member has different contributions and significance to the forum. Perhaps doing an average of reps per X posts would be better or the proportion between reps and total number of posts? The same could be done for #post in relation to date of registry/date of first post, but'll be trickier there since members participate in different areas of the forum and write in different volume. I know mathematically it'll be highly unlikeable that it'll come to tiebreaking factors,let alone more than one, but still,it makes more sense to me. Anyway, just a suggestion, it's still fun. ^^It's definitely not very probably that we have to resort to tie-breaks at the very end to determine the top 3, but yeah it those cases I think the long time & frequent posters should have an edge. Reps per post average rating is certainly an interesting option, but I'm not sure how that would work in e.g. a case where a user has 50 posts & 3 reps getting the advantage over someone with 1000 posts and 5 reps. But thanks for your input Kannaps! Thanks Dave! I´m happy to participate! Hey guys- starting the upcoming game & onwards, those who have received a rep OR made at least 20 posts in the last 7 days (dating back from the end of the upcoming active game), will be rewarded one extra point. So instead of 1 for participating, 3 for the right spread, 4 for guessing one score right, & 10 for both scores right, you'd get 2, 4, 5, & 11, respectively. Dave, don't you think that finding the winner should be rewarded as well? For example, for a game finished at 100-95, a 99-96 and a 87-129 prediction would give out the same points, which is not "fair" if I can say so! Thought I saw you get one right the other day? Yup both getting a point for participation, but yeah certainly those would be widely different guesses. I did add a provision where you do get 3 points if you get the right spread. But I think you're right- perhaps an extra point for those who got the winner right. Anyone else feel that way or should it stay the way it is? Lol just the spread. But the last few games I miss the score and spread barely. And also, about that winning team thing. Its good and bad because then it'd be easier to get points, but if you guess the right winner, you should be awarded something lol can you do 1/2 a point? ^^Yeah I thought about it, but just didn't want to add decimals. Maybe 2 points for guessing the right winning team & the actual spread is within one point of the difference. What do you guys think? Hey guys- for the Toronto game only, you can get 10 extra bonus points if you guess the correct # of points that Kobe Bryant scores. Make your Guess the Score entry, then enter your guess for the Kobe # of points in this thread, and if you get it spot on, I will manually tack on the 10 extra points to your entry for the Toronto game after it is over. Sure thing! BTW I don't see your entry in the Guess the Score page yet- make sure you submit one before the game starts to qualify. Ill even predict his stat line. 15 pts 4 rebs 4 ast 1 steal 0 blocks 4-8 shooting 25 minutes. twenty two points for Kobe! I Think we'll see him taking it easy and trying to adjust... More assisting than scoring. I think he´ll have a good amount of assists but will rack up way more down the line when the team is hopefully fully clicking. This is his first game back, the main concern is how he responds to actual game action and contact and how his conditioning feels. 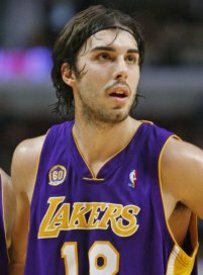 On the other hand, I can just see him get hot with his jumpshot and score really easily in the post with his array of moves and dazzling a Laker crowd that´s been waiting for this moment for so long. I can see it going either way. I don´t expect him to really disappoint anybody, though. He´s too prepared I think. 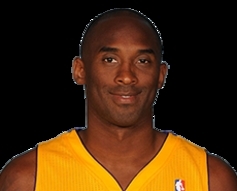 Kobe will score 17 points, it'll take him some time to get it going. Kobe will score 22 points against the Raptors. He's baaaaacccckkkk! Kobe will score 19 points. The only issue I see is that 10 points is too much, in my opinion. One lucky pick can make a huge difference in the results. I would rather see a couple of points for Kobe, and have a regular feature - pick the correct team = 2 points. if you haven't already. I don't see one for Sebastian, Baad & gonzo yet. 17 points, 7 assist, 3 rebounds. 22 minutes. Dave, thanks for reminder, man! I almost forgot, even though I was sure I already put my guess in which obviously wasn´t the case^^ enjoy the game tonight, man! People seem to do it before the thread is even made. How do I get there? Sorry about the wrong section. there's no thread for guess the score game.. But its on the ltb home page! Go to ltb home page, look at the right side.. scroll down until you see "play now" which is for the lakers guess the score game. Loved this idea! So much fun. Good luck guys! Like Dino said- scroll down and you will see it on the right side on the leaderboard. Or maybe even easier, click the + icon on the upper left to expand the main menu, and the link to it is right above the Site Rules & Guidelines link at the very bottom. Hey guys- a new stipulation here. I reserve the right to eliminate anyone who keeps pestering me about not getting the bonus point (or whatever) because the he thinks the system miscounted, etc. Sorry but I just don't have the time to deal with that stuff. I just had a guy pretty much accused me that the system went "foul", that I shouldn't have gotten the extra bonus point, & that I need to add some feature to make the points allocation more obvious, this and that. Seriously? As I told the guy, this game is just for fun, a privilege, something I went out of my way to create for your enjoyment, so don't go and be making demands like that. And FYI, I'm playing in it just for fun. If anyone is worried about myself claiming a prize, please don't because my score does not count. "FOUL! I was disappointed again when I looked during the first quarter and saw that you and I both had not posted 20 between games. I checked earlier in the day, about an hour before the game, and again, I was over 20. When I looked during the first quarter, neither you nor I had the 20 required. Now, in the third quarter, I see that you have mysteriously inched to the 20 mark, and you are going to get points. How can that be? It appears that something is not working properly in the way points are allocated by this game. But the problem I see tonight, is that in the first quarter, neither you nor I had sufficient points to get the 2 for participating. Now, you do have enough points." WTF? And I was like this is a joke right? You've gotta be effin kidding me. So nope, not going to put up with that crap anymore. And this was not the first time this member did this. First time I was nice about it and even went out of my way to manually give him an extra point even though he didn't get to 20 posts in the 7 days before the game end time. I even manually counted & showed him how he didn't reach the 20 posts. But yeah pettiness like this makes me just want to blow the game away. It will stay for the rest of this season of course, but its future is certainly is in doubt after that. Congrats guys, and please PM me the email address you want the Amazon Gift Card claim code to be sent to!